Greek myths held that Oceanus to be a massive river surrounding the land. A Titan, son of sky and earth, he was depicted as a handsome, muscular man whose torso ended in a scaled tail. As the Olympians emerged, Oceanus retreated, his domain restricted to strange and dangerous shores, the realm of sailors' fortunes and worries. 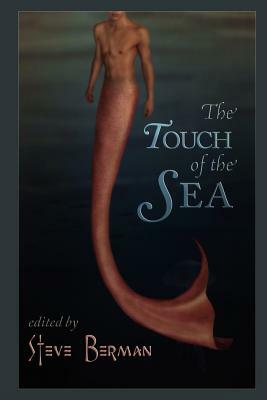 So, too, are the eleven tales within the pages of The Touch of the Sea: fantastical, at times eerie, with sightings of mermen, water spirits, and sea beasts (even the fabled "living island," the aspidochelone) as well as a smattering of pirates. What makes these stories memorable is that they affirm the masculinity of the sea, the taste of brine on another man's lips. Become mates with such award-winning authors as Joel Lane and Jeff Mann--seasoned storytellers 'Nathan Bourgeoine, Chaz Brenchley, and Alex Jeffers--and a wide array of coxswains: Brandon Cracraft, Jonathan Harper, John Howard, Vincent Kovar, Matthew A. Merendo, Damon Shaw--under the helm of editor Steve Berman.